ETP FIX Pricing Manager provides the option of subscribing to FIX market data. 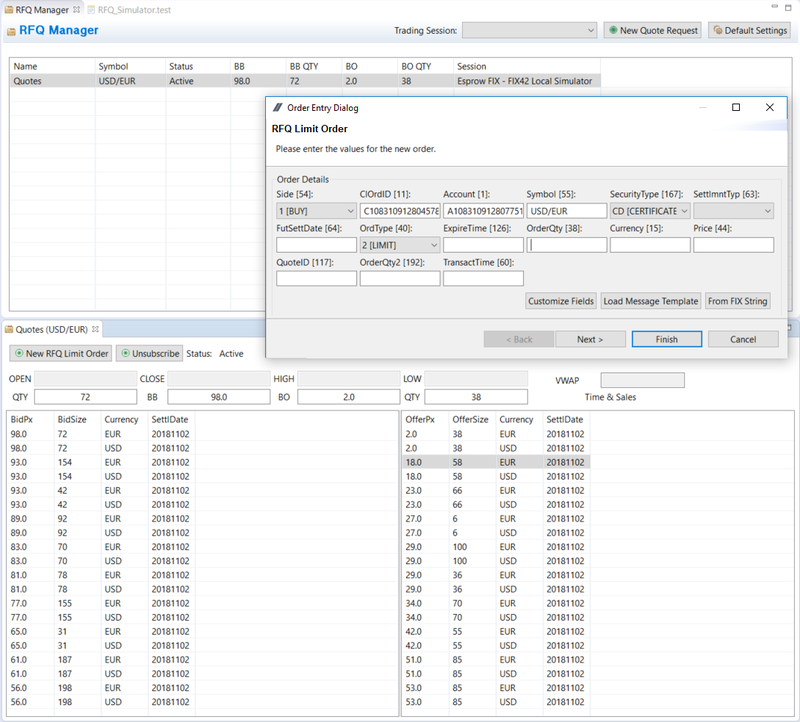 The ETP FIX Pricing Manager represents market data streams and quote streams in an intuitive visual manner to immediately spot potential problems with market-data streams. Market data is presented in a book-handling fashion, both incremental and snapshot streams, whilst quote streams are presented in a Request for Stream view allowing you to experience what your client would when interfacing to your API. Subscribe to FIX market data. Easily hit real-time FIX market data. 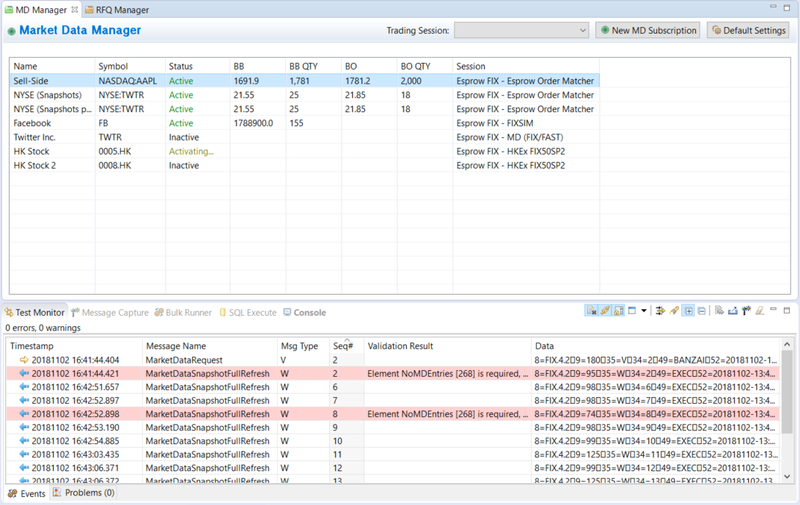 ETP FIX Pricing Manager provides easy editing and saving of market data request messages. Take an overview of each market stock that interests you, easily send subscribe/unsubscribe requests, analyze or hit real-time FIX market data, easily find the best bids and offers, cumulative quantity and average price, observe market trades and more. ETP FIX Pricing Manager provides the option of subscribing to FIX quoting data as well. For more information on FIX Pricing Manager please contact Esprow Sales.